K.L. Harring offers a customized, cost-effective, flexible, transportation system. Our logistics enables you to retain the efficiency, control, and service level of a privately owned fleet, minus the pressures of cost, management and liability. We offer freight management, warehousing, and consulting. All of these services allow us to provide a truly single-source freight management program. K.L. Harring logistics will undoubtedly free you from the day-to-day grind of transportation operation so you can concentrate on running your core business and provide superior customer service. At K.L. Harring we do whatever it takes to simplify your job. We provide our customers with supply chain management, warehousing and pool distribution utilizing LTL Express Services. 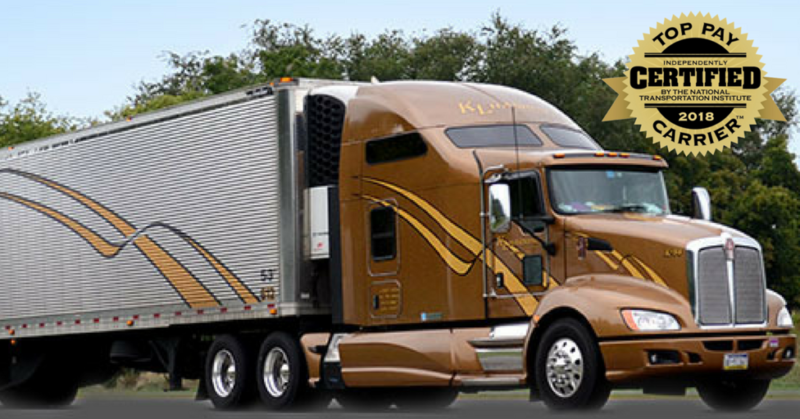 We can also help reduce your overall transportation costs by revenue sharing on K.L. Harring’s generated backhaul loads. We will utilize our current shipper base of over 1,000 customers to supplement your existing backhaul. As your business grows and changes, you can rely on us to provide the flexibility necessary to accommodate your needs and shift gears quickly. We can increase or decrease fleet size, as demand requires. We even can supplement your core dedicated fleet with additional equipment on a temporary basis to help smooth out seasonal peaks. Logistics is the backbone of your supply chain. We will partner with you to smooth the flow of goods and materials by arranging the type of transportation you need. We can also consult with you to create product distribution networks and warehousing. We will provide as much or as little as you desire. You can turn your entire transportation department over to us or you can limit our involvement to simply providing consultation. We will use our vast resources to develop a total transportation package to meet your needs and those of your customers. The result will be fewer headaches for you and more opportunity to focus your resources on growing your business. We offer state of the art computerized order entry, dispatching and 24 hour tracking of shipments during transit. This capability allows K.L. Harring to provide immediate progress reports on all your shipments, at your request. K.L. Harring specializes in providing surface transportation for expedited freight. Our experience includes providing transportation for both local and out of state shipments.